Rejuvenate skin with healthy collagen growth. we age, collagen and elastin production decreases, which adds to the smooth, firm, and supple appearance of youthful skin. Over time, our skin loses its ability to stretch and contract as it once did, but fortunately, there are treatments specially designed to help restore and rejuvenate your skin. 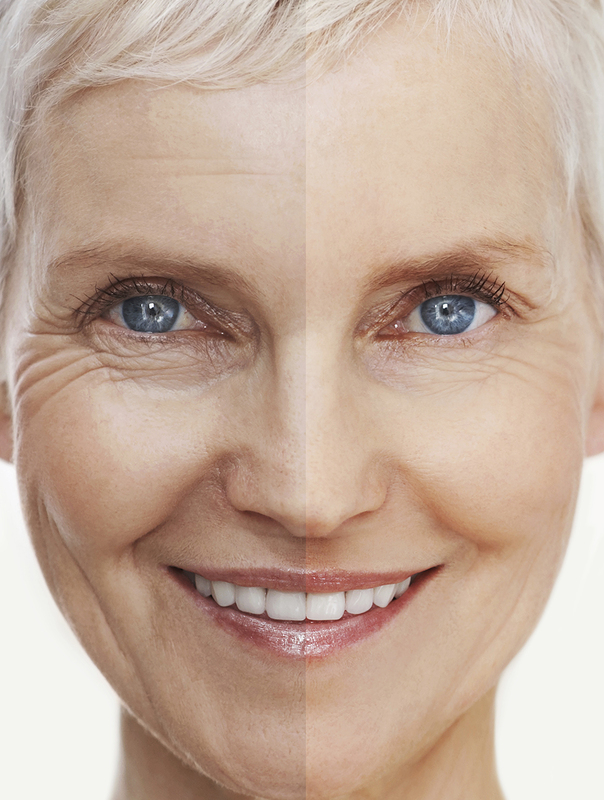 By boosting collagen growth and stimulating your body’s immune system, Ottawa’s Dermis Advanced Skin Care specialists can help you recapture that youthful look. Five times more effective than chemical peels, this facial treatment is fast, safe, has minimal downtime, and is suitable for all skin types. Using Lutronic’s Spectra laser technology, along with medically activated carbon, the treatment removes damaged outer layers of skin and stimulates the production of collagen in underlying layers, all while minimizing skin pores. This procedure is also an excellent purifying process for deep cleaning and is very effective at controlling sebaceous secretion, inflammation, and acne (including active acne). As a leading Ottawa skin care clinic, we are proud to be equipped with trusted TriFractional Technology by Pollogen®. This non-invasive, state-of-the-art treatment dramatically improves the look of acne-scarred skin by making use of three pulse fractional technology to safely and effectively resurface your skin with minimal discomfort and downtime. The TriFractional Radio Frequency Energy penetrates deep into the tissue of the target area, creating micro wounds that trigger the body’s natural healing processes. At Dermis’ Advanced Skin Care Ottawa clinic, we use our innovative Cutera ExcelHR® laser technology. Thanks to our triple sapphire cooling system, this procedure comfortably stimulates collagen growth through the gentle heating of the upper dermis below the skin’s surface. Over the course of four to five treatments, patients can expect reduced redness, a healthier complexion, reduced pore size, improvement in uneven textures caused by aging, sun damage, or scars—all restoring your skin’s youthful glow. This non-invasive, zero downtime procedure is used to resurface the skin. The uppermost, superficial layers of dead skin are gently exfoliated with a controlled flow of crystals. Microdermabrasion stimulates cell and collagen productions, reducing the appearance of large pores; additionally, oil, dirt, dead skin cells, and bacteria are removed, leaving the skin healthier and free of acne bacteria. This unique, powerful radiofrequency treatment smooths and tightens skin thanks to a combination unipolar and bipolar RF applicators that deliver heat to the dermis, all without affecting the outer skin. This makes it an ideal treatment to reduce the appearance of crows’ feet or jowls.